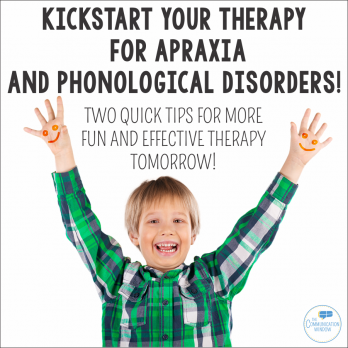 HomeSpeech Therapy MaterialsArchive by Category "Apraxia"
Any SLP working with preschool or young elementary students are bound to have students with apraxia or phonological disorders on their caseload. In my experience, two things have been a huge help in seeing success with these children. The first is using gestural or kinesthetic cues. There are several different cueing systems out there with the most well-known being PROMPT or Prompts for Restructuring Oral Muscular Phonetic Targets. I am not PROMPT trained but would love to be one day. 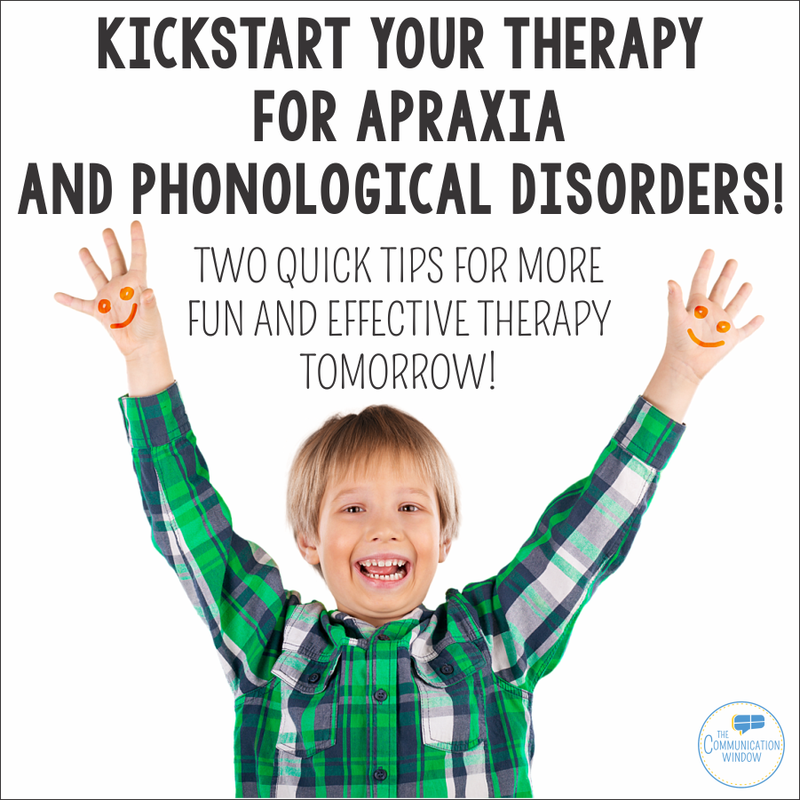 I instead use the gestural cues provided in the Easy Does It for Apraxia program. I find them very intuitive and easy to teach to parents so they can use them when they practice with their child at home. The second is thing that I have seen great success with my preschool students with apraxia or phonological disorders is using picture cues to break down and simplify producing the target words that the child struggles with. 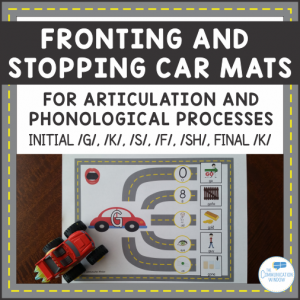 My favorite tool for doing that are these Car Road Mats for Articulation, Apraxia, and Phonology. The Road Mat format is super motivating for almost all my preschool students. The picture cues which break down the sounds and word structure helps the child slide their target sound together with a simple word and a huge difference in the child being able to successfully produce their target word. One of the reviews of the Car Mats describe these as a “game changer” for her therapy and I agree! 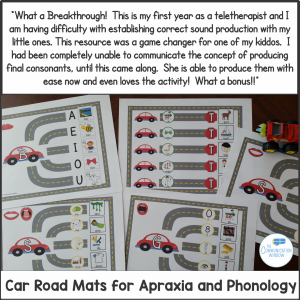 These car mats are something that have shown dramatic improvement with every one of my preschool students with apraxia or phonological delays. 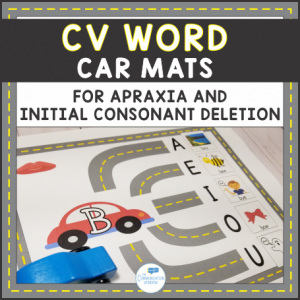 The Car Mats are available in CV words for children with apraxia or autism who are just starting to combine consonants with vowels to produce CV words. 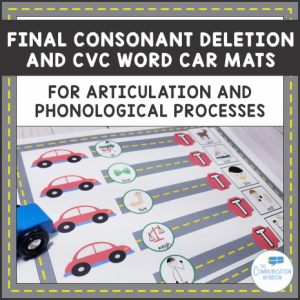 With the CV word mat, the child starts their car on a consonant sounds then moves to a vowel sound which results in them saying a CV word. For example, a child working on initial /b/ starts on the /b/ and slides to the /i/ sound to say “bee”. Car Mats are also available for consonant clusters for children who exhibit the phonological process of cluster reduction. 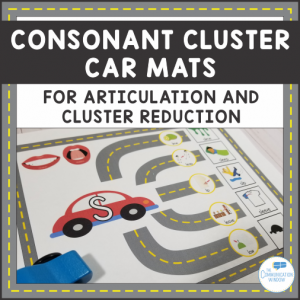 With the consonant cluster car mats a child starts with the /s/ sound and then slides to a simple word which results in then saying a word with the consonant cluster. For example, a child working on /sl/ blends starts with an /s/ then says “lime” while they move their car across the road which allows them to successfully produce the blend and say “slime”. As they move the car faster across the road, it helps them to successfully blend the sounds together. Finally, there are also car mats for children who exhibit the phonological processes of fronting or stopping. For these car mats, the child starts on the target sound and slides their car to a word which when put together with the target sound makes the target word. For example, for fronting a child starts on “k” and slides to “up” to produce the word “cup”. 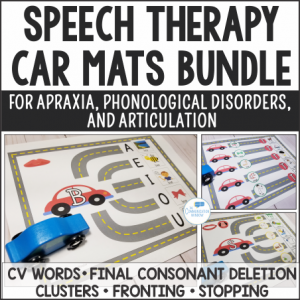 The Car Road Mats for Apraxia and Phonology are available on TPT. Click the picture below to grab the set!